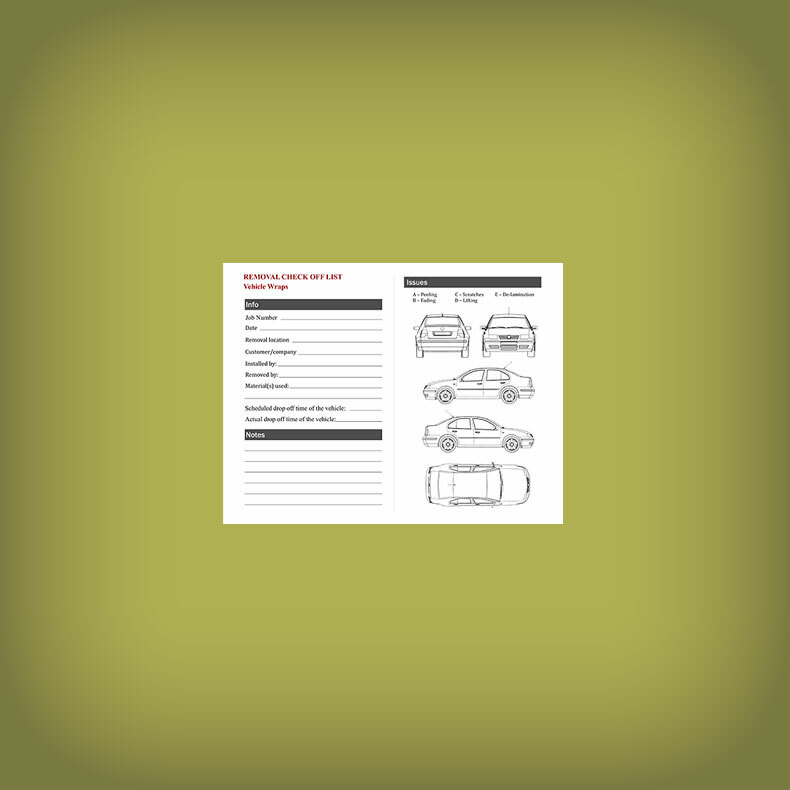 A checklist to use prior, during and at the conclusion of a vinyl wrap removal. 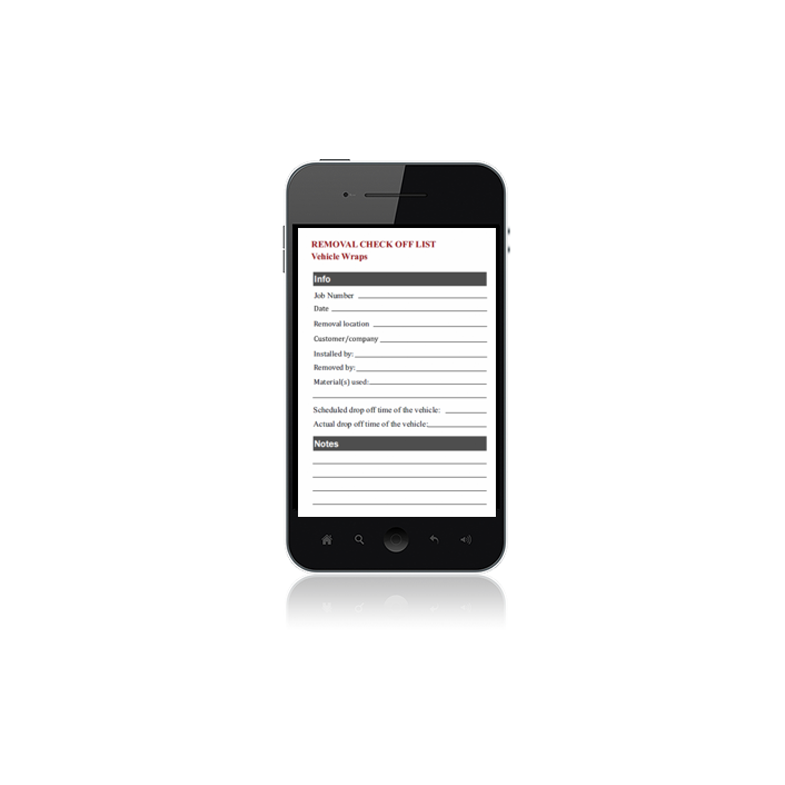 This form is useful for recording information that may help with material selection, pricing jobs, technique check ups, and more. See a video explaining this form in more detail here.